Qumulo has a ton of new faces in our halls lately! To help you get to know some of the new Qumulons, the Qumulo Blog has put together a Q&A-style interview series where we’ll be profiling new employees! Stop by and say hello when you have a moment, or reach out on Slack to greet folks working remotely! Q: How did you find out about Qumulo? A: I wasn’t familiar with Qumulo until Rachael Park reached out to me via LinkedIn. I loved what I heard and after doing a little research online and talking with the internal folks, I was excited to learn more. 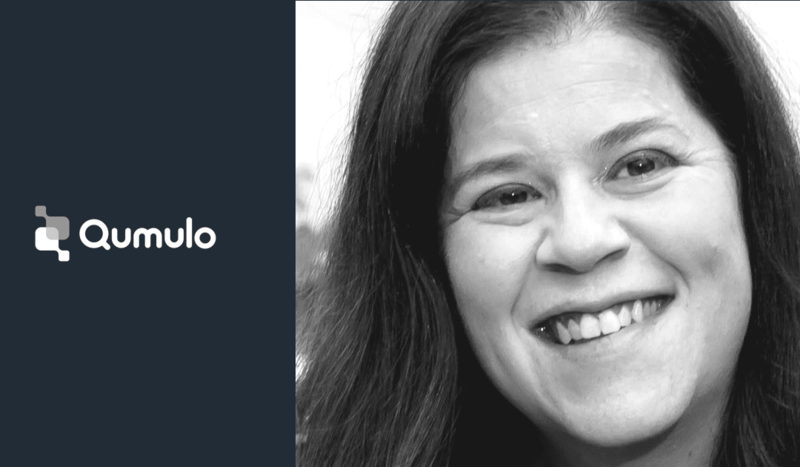 A: There were a lot of things which got me excited to join the Qumulo team, including the incredible technology, and the awesome team of people, but it was the maniacal focus on our customers which I loved, and what I believe was a true differentiator of Qumulo’s. Q: Where did you work previously? A: Most recently, Trend Micro, focusing on cybersecurity, but I spent a long time in the channel with partners such as CDW, SHI, Connection and Insight. Q: What are you passionate about (either at work, or in your personal life)? A: My family – everything I am and everything I do is for them. On another note, I’ve recently become very passionate about health and wellness; and have lost 50 pounds through Weight Watchers and Pelton. It’s changed my life in so many ways! A: Teleportation. How easy would customer visits and travel be with that power!